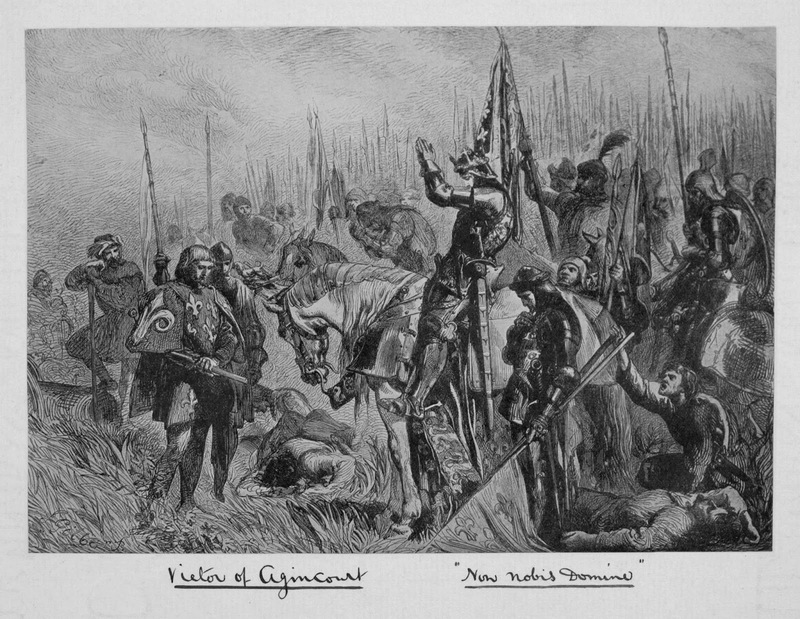 Of all Shakespearian speeches Henry V’s speech from the morning of the Battle of Agincourt is one of the most famous. 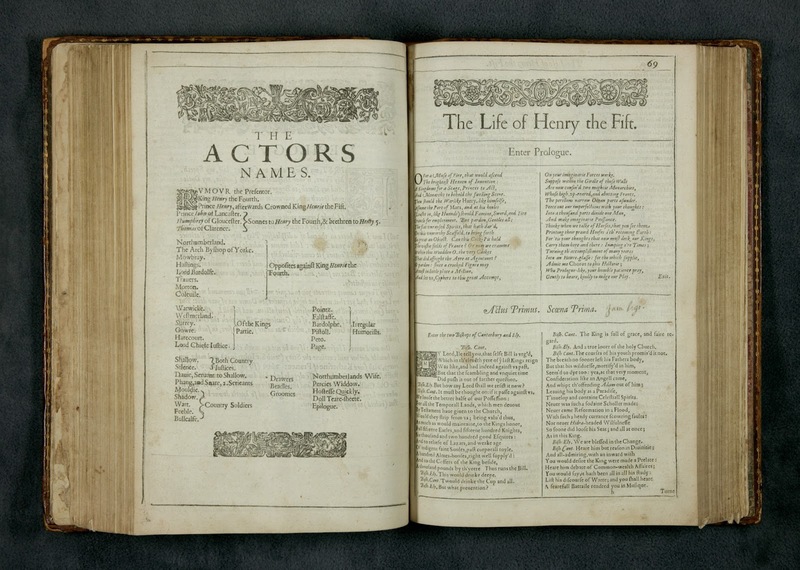 Two well respected actors who have played Henry and given the rousing St Crispin’s Day speech are Laurence Olivier and Kenneth Branagh. Ref: William Shakespeare, First Folio Mr. William Shakespeares comedies, histories & tragedies, p.87, 1623, Sir George Grey Special Collections, Auckland Libraries, 1623 SHAK. 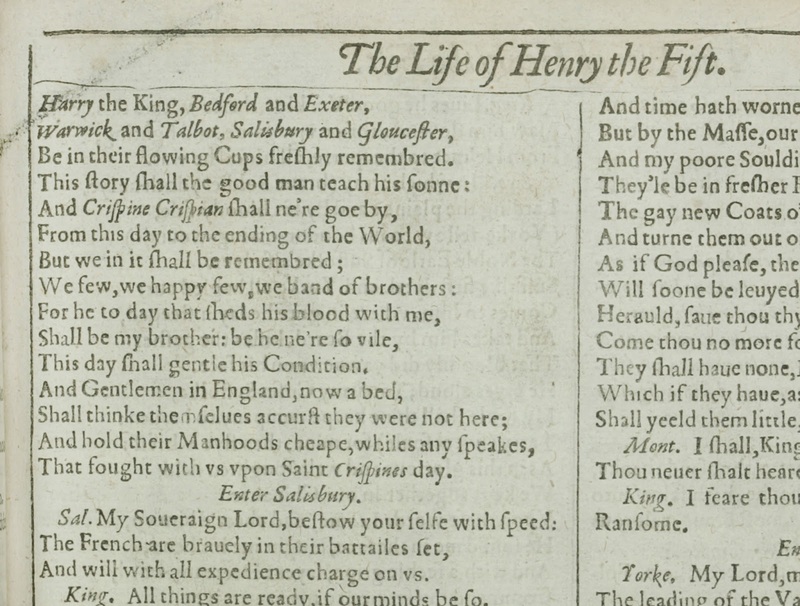 The other copy of Henry V featured is from Henry Shaw’s Edinburgh Folio Shakespeare. 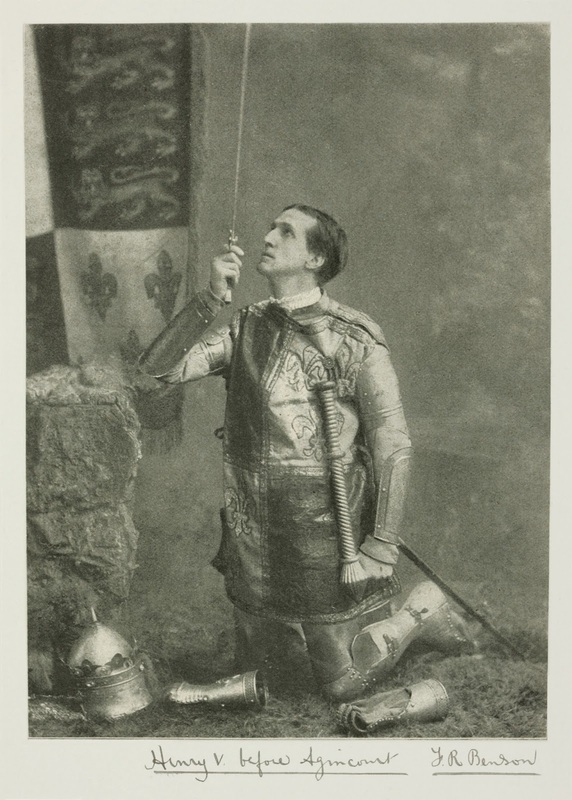 This volume has been extra-illustrated by its original owner, Henry Shaw. The process of adding extra illustrations to a book is known as grangerizing. Donald Kerr has published a paper, “A dubious practice? Henry Shaw and his grangerizing” in Script & Print, which you can read here with your library card. Kerr points out that the two differing views on grangerizing are neatly summed up by the two aspects in this definition. 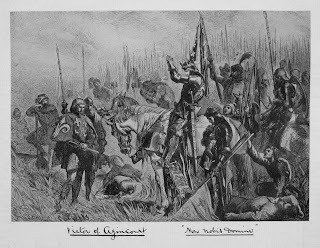 This illustration is taken from Henry IV Part I, when the future King Henry V is still Prince Hal. Here he is shown with Falstaff in a tavern. 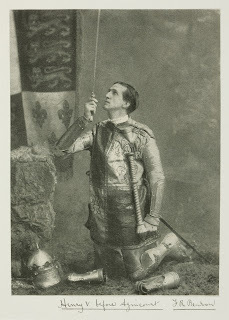 Ref: William Shakespeare, The first part of King Henry the Fourth, p.195, 1902, Sir George Grey Special Collections, Auckland Libraries, IL:1901 SHAW. There is a note on the cover in the introduction to Henry V saying that this edition contains 72 added illustrations. 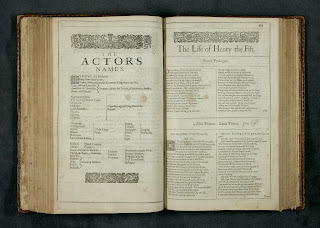 In Kerr’s article he writes that Shaw extended his ten volume set of the Edinburgh Folio Shakespeare to forty volumes through adding extra illustrations. 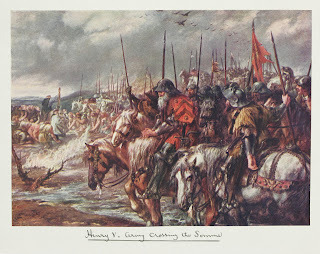 This illustration represents Henry and his army crossing the Somme. 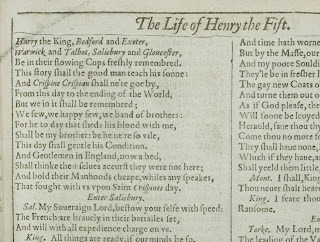 For more on Henry V and Agincourt, the UK National Archives have a fascinating series of blog posts on Henry V and his army featuring some of the primary resources held there. 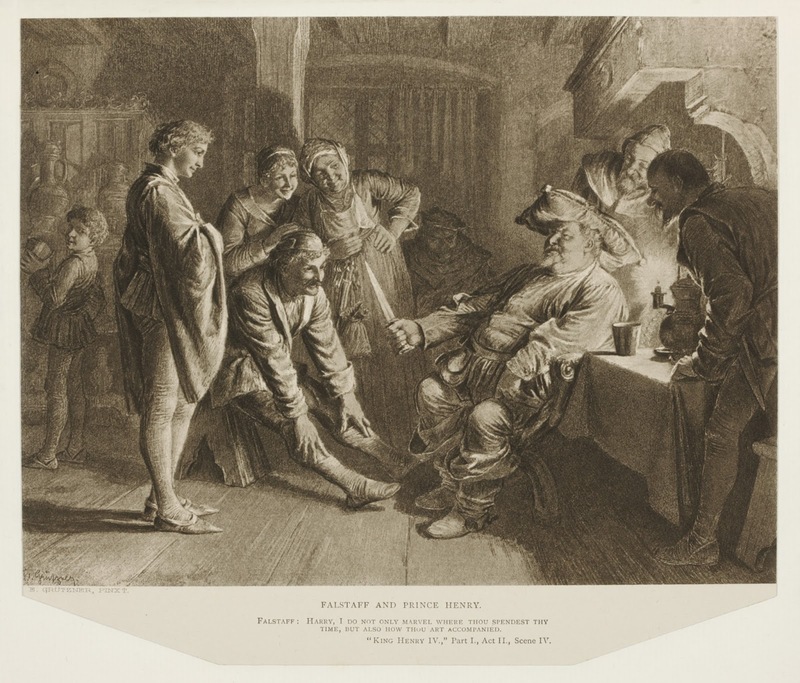 Closer to home, Sir George Grey Special Collections are planning a Shakespeare themed exhibition next year, and the pop-up Globe Theatre is coming to Auckland to commemorate 400 years since Shakespeare’s death.